Nestled between the Sheraton Fiji Resort and The Westin Denarau Island Resort & Spa are the exquisite Sheraton Denarau Villas. 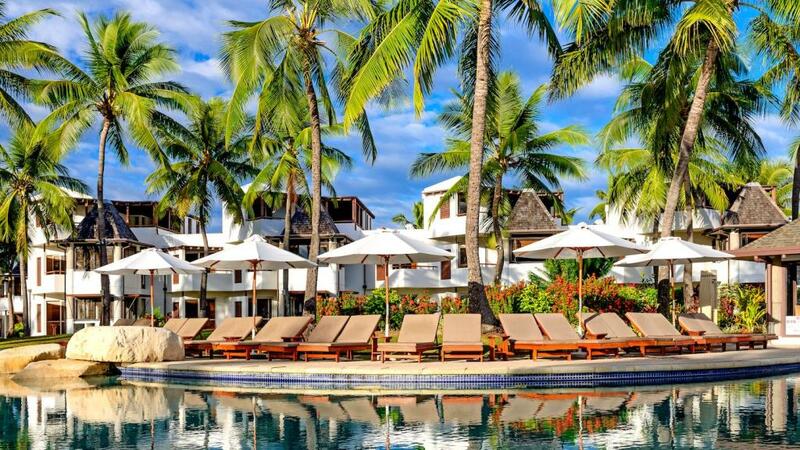 This 5 star Fiji accommodation allows couples, friends and families to enjoy the convenience of a self-contained villa while still having access to a wide range of resort facilities including kids club, day spa, golf, swimming pools and restaurants. Sheraton Denarau Villas are ideally located on the waterfront on Denarau Island, a mere 20 minute drive from the Nadi International Airport. The Villas are ideal for families and small groups after self-catering accommodation in Fiji. All villas are surrounded by tropical gardens and large palm trees, some with ocean views. This Fiji accommodation boasts a large swimming pool plus the use of the facilities and restaurants at Sheraton Fiji Resort and The Westin Denarau Island Resort & Spa.